North Korea has not stopped its nuclear and missile programs and is violating UN sanctions, including illegally smuggling petroleum products into the country, UN experts said in a new report. A summary of the report by experts monitoring UN sanctions against North Korea, which was sent to the Security Council on Friday night and obtained by The Associated Press, said North Korea is also violating sanctions by transferring coal at sea and flouting an arms embargo and financial sanctions. The panel of experts said North Korea attempted to sell small arms and light weapons and other military equipment via foreign intermediaries, including Syrian arms traffickers in the case of Houthi Shia rebels in Yemen as well as Libya and Sudan. The report also said North Korea has continued military co-operation with Syria, in breach of UN sanctions. The panel said it is continuing to investigate sanctioned individuals, companies and other entities in Asia that clandestinely procured centrifuges for North Korea's nuclear program and attempted to sell a wide range of military equipment to governments and armed groups in the Middle East and Africa. The UN Security Council first imposed sanctions on North Korea after its first nuclear test in 2006 and has made them tougher and tougher in response to further nuclear tests and its increasingly sophisticated ballistic missile program. Many diplomats and analysts credit the sanctions, which have sharply cut North Korea's exports and imports, with helping promote the thaw in relations between North Korea and South Korea, as well as the June meeting between U.S. President Donald Trump and North Korean leader Kim Jong-un. But the report said North Korea "has not stopped its nuclear and missiles programs" and continues to defy the sanctions resolutions. Sung Yoon Lee, a professor of Korean studies at Tufts University in Massachusetts​, said it's not especially surprising that North Korea has continued its nuclear and missile programs despite the summit between Trump and Kim. "It's business as usual. A state like North Korea does not start a nuclear program and then 50 years later give it up just because it had the privilege of a summit meeting with the leader of the United States," Lee told CBC News Network on Saturday morning. "So I think President Trump walked right into an elaborate trap the moment he agreed to Kim Jong-un's proposition for a summit meeting in March. And now North Korea ensnares the U.S. into an open-ended, never-ending process of negotiations." He said that it provides the regime time to further advance its nuclear capabilities. The report also found ship-to-ship transfers of petroleum products, oil and coal involve "increasingly sophisticated evasion techniques" to get the products to North Korea. 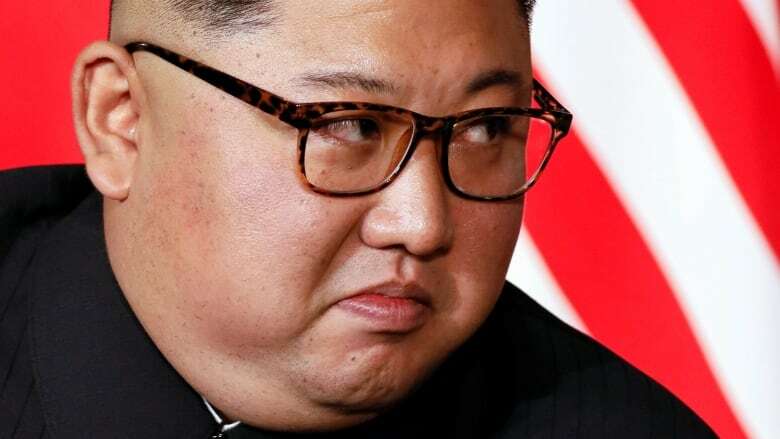 The United States said last month that North Korea is illegally smuggling refined petroleum products into the country beyond the quota of 500,000 barrels per year allowed under UN sanctions. U.S. documents sent to the Security Council committee monitoring sanctions against North Korea cite 89 instances between Jan. 1 and May 30, in which North Korean tankers likely delivered refined products "illicitly procured" via ship-to-ship transfers. The experts said if the report is accurate, North Korea is violating sanctions and all countries "would have to immediately halt all such transfers" to North Korea. U.S. Secretary of State Mike Pompeo warned Russia and China in particular against any violation of international sanctions on North Korea and said Washington will take seriously any action that reduces pressure on the North to abandon its nuclear weapons. Speaking in Singapore on Saturday, Pompeo told reporters the U.S. has new, credible reports that Russia has violated UN sanctions by allowing joint ventures with North Korean companies and issuing new permits for North Korean guest workers. He says the reports will be raised with Moscow and roundly condemned. Hours after Pompeo spoke, North Korean Foreign Minister Ri Yong-ho said that the U.S. "is raising its voice louder for maintaining the sanctions against" the country. Ri said that while North Korea has "initiated goodwill measures" including a "moratorium on the nuclear test and rocket launch test and dismantling of nuclear test ground," the U.S. has gone "back to the old, far from its leader's intention."